This post is in response to a comment in one of this past week’s Board postings, asking how one cleans up a file in Photoshop. I’ve been a member of this amazing Pinterest Hand Lettering board (thanks, Amanda) for only about a week and I’m already noticing that by far the most popular method of presenting work is to photograph one’s sketchbook and post it, which is admittedly fast, easy and shows the work in all it’s original, pristine glory. I, however, am clearly more of a control freak than that, and also have a big gum eraser that I’m not afraid to over-use, thus I prefer to scan my sketchbook, open the file in Photoshop and do a little rudimentary de-schmutzing before posting. Scan your artwork. For posting on the web, I set the resolution at 150 dpi, black and white mode and with no image correction.150 dpi will give you twice as many pixels as you need for screen display (I like having a few more pixels to work with when editing the image) but not so many that you’re creating a huge file*. *If you ever need to prep your work for print, you can always scan your original at a higher resolution later. Save the file to your hard drive as a .jpg. 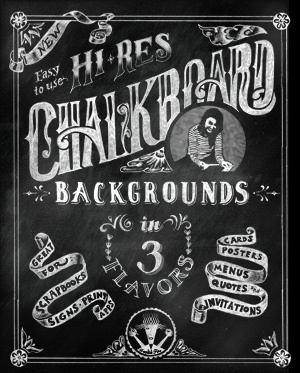 Once opened, you may want to (also) Save As > Photoshop (.psd) file if you want to include layers at some point, for example if you’re doing a reversed chalkboard effect. Adjust the contrast. If you work in pencil a lot, like I do, the first step is to adjust the contrast. Most scanners will leave the image a bit flat so “auto leveling” (Command-Shift-L) automagically sets white, black and midtones. If your work already has a lot of contrast (i.e. ink on white paper) you may want to skip this step. To do an auto level manually choose Image > Adjustments > Level, click Auto. Try auto leveling first, then make fine adjustments with the arrow sliders as needed. This is an eyeball process so when it looks good, stop, but in general, you probably want to preserve the line work detail as much as possible so try to avoid radical adjustments in the Levels dialog box. Clean up the file. At this point your own comfort level will dictate how much to alter your work. For me, if it’s just practice, I’ll only clean up obvious eraser marks or smudges, but leave the line work pretty much alone. If the work is for a client, I may take more liberties, and especially if it’s to be printed, I’ll spend more time and work at a much high resolution (min. 600 dpi). Having said that, if I’ve hand lettered something, the medium is really the message, right? So as a rule, I try to leave my originals as “original” as possible. 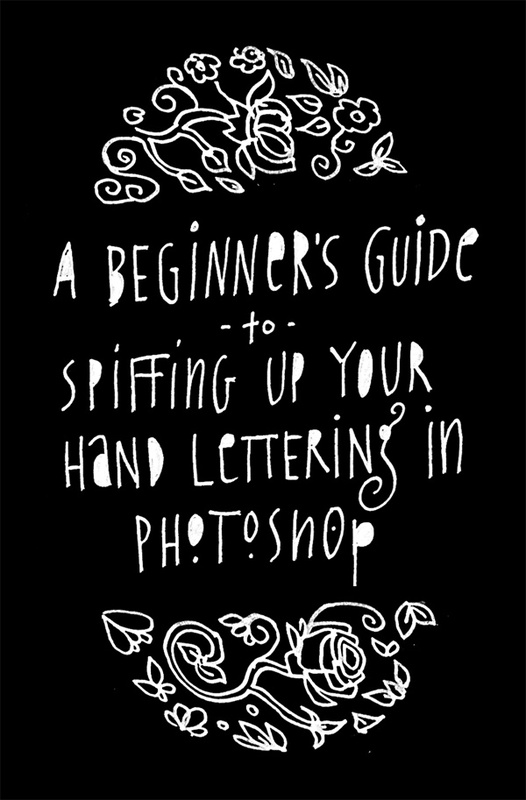 It is after all, “hand lettering”. I use the cloning tool for most “de-uglification”, and/or the brush tool at high magnification for small de-spotting. Sometimes the healing brush can also be useful for repairing more acute damage. TIP: when cloning, start with high magnification and use a normal, round brush with about 50% hardness at about 70% opacity and build up the area using adjacent pixels. This takes practice but the idea is to not leave traces that an area has been repaired. Save your file. Once you’ve completed your housecleaning go to the top menu and pull down File > Save for Web and Devices to save an optimized version of the file. I normally save my hand lettering files as excellent quality .jpgs at 700 pixels wide, but that’s just what my blog likes. There is no upper width limit as far as Pinterest is concerned. Happy pixel tweaking, hope it helps. WOW thanks so much for all this GREAT FREE STUFF!!! AMAZING do you have a newsletter? SIGN ME UP!!!! You’re so welcome. And no I don’t have a newsletter..yet, but when/if I do I’ll let you know. Excellent post! I appreciate the time you took to explain this. Very helpful stuff. I found this on Pinterest just recently and I just want to thank you for the post. I really appreciate your going to the trouble of writing this tutorial. I have sketches that I would love to clean up and it looks like this will be the way to accomplish it. I love lettering and now I’m thinkin’ I’ll have at that too! Loads of thanks! Completely with you. I was a photojournalist for years so my default is to use Photoshop sparingly on most everything I do. Having said that I loves me my Photoshop masks and healing brush. Thanks for commenting, Athena. What medium do you use to get the white lettering on a black background? I posted a tutorial on the whole process here. Basically, I start with pencil, scan the artwork, place it on a chalkboard background, do a little blending mode magic and voila. I would make that decision based on the largest size material you’d ever need to scan. Mine is part of a 3-in-1 fax/scanner/copy machine I got for free when I bought my computer, so clearly, no need to break the bank. It has a 9×11 bed and most of artwork is done around that scale. Most all flatbed scanners can scan in excess of 2400 dpi, or so, so more than adequate. (I usually scan my work at 600 dpi) which is high enough resolution for work up to 24×30 and beyond, if necessary. I have no specific brand I’m loyal to…I would just look for big enough bed, high enough res, low enough price. De-schmutzing… if only that’d work on people 😉 Thanks for the tips! I’m going to try it. When I come up with that tutorial…you’ll be the first to know! Awesome tutorial on this! Thank you for sharing. be very versatile in the composition, lighting and camera settings you use. place in the sales process. This was exactly what I was looking for. Thanks for sharing your knowledge! I love the word “de-schmutzing”. Thank you very much – I will definitely use it to describe certain things! Do you wish to be referred to?